Apple Q4 earnings: Still huge. 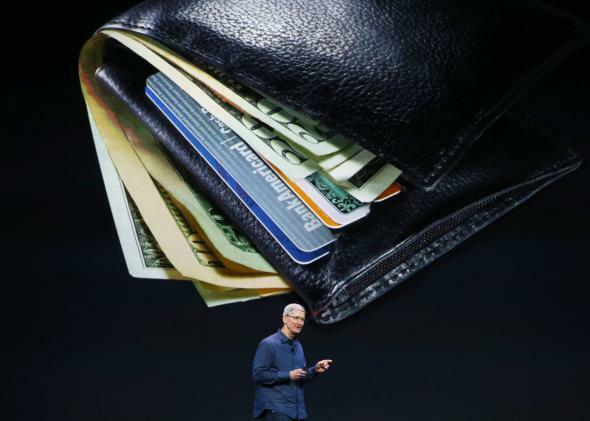 Tim Cook, about to be swallowed by money. I’m starting to the think that the relationship between U2 and Apple is more than a misbegotten co-branding exercise—there’s pretty clearly a deep spiritual simpatico at play. Youthful icons of the 1980s who had some ‘90s-era hiccups before a turn-of-the-millennium revival, they’ve both settled into a groove as dull but enormously lucrative enterprises. U2 keeps cranking out forgettable albums and enormously successful tours. Apple continues tweaking its iPhones and iPads, then watches the money pour in. Today, the company announced its fourth-quarter earnings, which were robust as usual. The company earned $42.12 billion, beating expectations and up 12 percent year over year. IPhone sales keep rising, while iPad sales are slumping. Business Insider notes, meanwhile, that the Mac, “is the surprise of the quarter. Apple sold more Macs this quarter than any other quarter in its history.” Chances are, the iPad and Mac stories are related. The Wall Street Journal suggests tablet sales are getting “squeezed” as laptops get ever thinner and smartphones evolve into phablets. (Ugh, that word.) So maybe the PC isn’t dead, as long as it has an Apple logo somewhere on it. Of course, questions always hover over Apple’s continued dominance. Can it continue to expand in China? Its sales grew just 1 percent year over year in that all-important country, though management says it’s still “bullish” on the market. And what about its famously thick margins? Apple’s have remained incredibly healthy, while its chief rival, Samsung, has seen its profits erode due to competition from inexpensive Chinese handset makers. Can Apple float above that fray forever? And what of Apple Pay? The company just launched the mobile payment system, which allows users to pay for merchandise with a wave of their phone at the checkout counter. Apple has been promoting the app’s convenience—no need to fumble with those pesky credit cards!—but its data security features may prove to be the real sell. Should that happen, it has “the potential to grow into a whole transactions empire for the company,” as my colleague Lily Hay Newman put it. But for now, Apple is still a reliable behemoth that makes little hand computers that lots and lots of people want to buy. And thankfully, its new phones still get better reviews than U2’s albums.